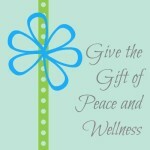 Give the Gift that your loved one can enjoy for a life time – the gift of peace and relaxation to help in their every day life, reduce stress and increase wellness and balance. Click on the Gift Certificate option you would like to purchase below. Please detail the name of the person, address and email address of the person who will be receiving this gift.